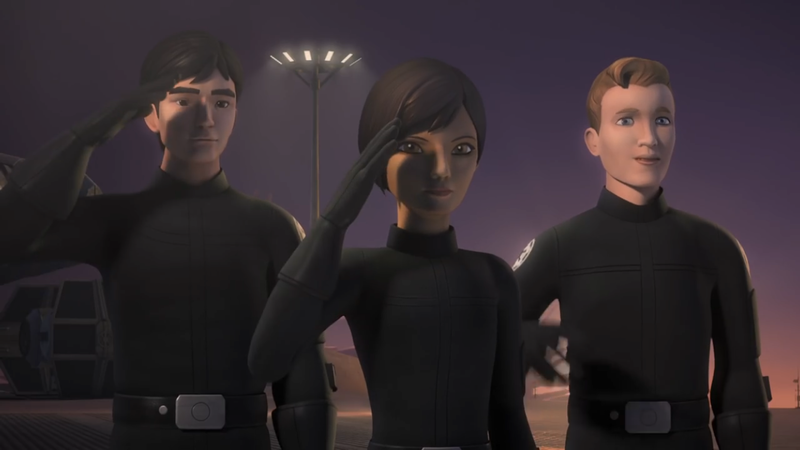 For Star Wars fans, few moments on television or film were as exhilarating as those which made up the end of the Season Two finale of Star Wars Rebels. The sophomore season of Lucasfilm’s second CGI animation built upon the first and drew upon the rich tapestry of the films, and its predecessor The Clone Wars, with extremely satisfying results with the combination of familiar faces and new challenges to the crew of the Ghost. 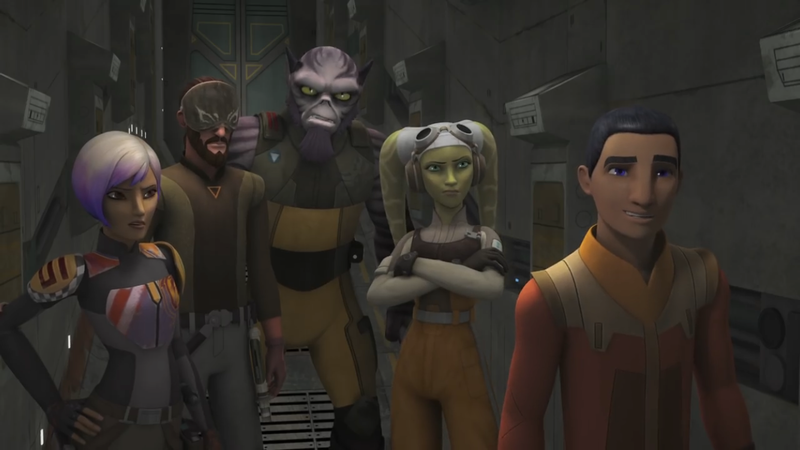 The adventures of Kanan, Ezra, Hera, Sabine, and Zeb, continue on Saturday, September 24th, with the premiere of Season Three. 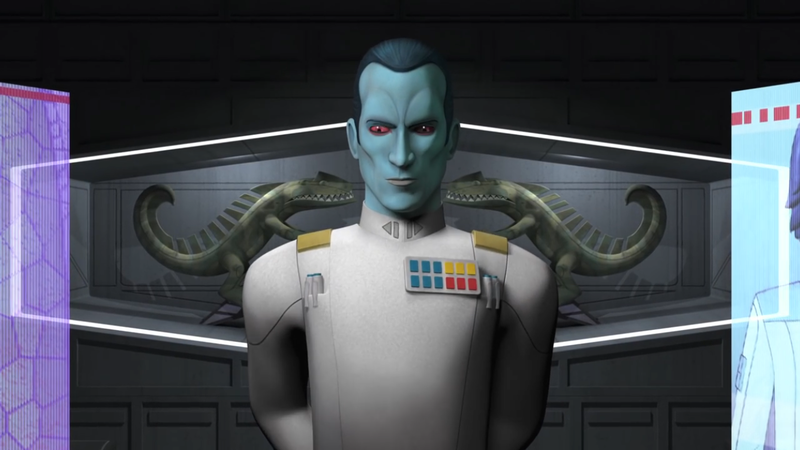 The excitement for this next season has been building since the incredible closing montage of “Twilight of the Apprentice” and only further amplified by the reveal at Disney Celebration Europe that Timothy Zahn’s Grand Admiral Thrawn would return to the official Star Wars canon as a chief nemesis for the fledgling rebels. Toss in a dash of the official Season Three trailer and you have the makings of one more feverishly fantastic television season, but what should we expect? What are the ramifications? For those who follow the words of Lucasfilm Story Group members closely, such as Pablo Hidalgo or Dave Filoni, there has been an increased emphasis on understanding the Force. Both have discussed in conversation the extent to which the Force is within all living beings, but also the element that the Sith and the Jedi don’t necessarily monopolize the energy field that flows through and connects all living things. When we turn our expectant gaze to Rebels, we find the ongoing storyline of Kanan Jarrus and Ezra Bridger. As most know, Kanan has struggled to be the teacher he believes Ezra deserves, while at the same time, Ezra has increasingly shown a desire to find power in the Force, though ostensibly for the purpose of protecting his friends and fighting the Empire. We should recall, Anakin Skywalker also sought power initially to simply protect and save the life of Padme Amidala. From what has been released in clips and trailer, we do know that not only is Ezra exploring the knowledge of the Sith via Sith Holocron (and potentially, the Maul, formerly known as Darth), but Kanan’s fears over this development lead him to meeting a giant ancient creature called the Bendu, who exists in the space between the Light Side of the Force and the Dark Side of the Force. 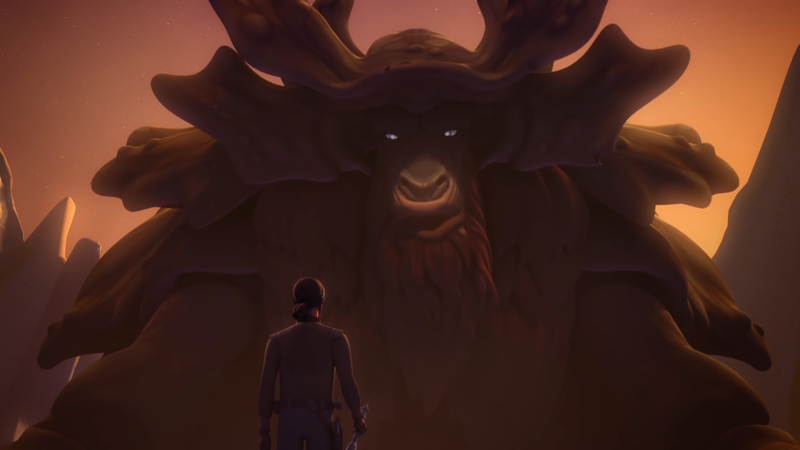 The Bendu picks up the mythical elements already explored in Filoni’s previous work, The Clone Wars, be it the inhabitants of the planet Mortis or the Force spirits visited by Yoda in the show’s final fully produced episodes. What can be taken from this is a Star Wars universe where the Force does not exist entirely as the divided sandbox of the Sith and the Jedi, but as something greater and not easily categorized. It’s an evolved perspective of the Force when viewed against that developed in the original trilogy, best understood by Yoda’s own instruction to Luke Skywalker in The Empire Strikes Back. And, upon reflection, the little green Jedi Master had little to say about the expansive nature of the Force. Nonetheless, Rebels’ Kanan-Ezra storyline is definitely embracing this new Force of the 21st Century, just as much as it seems the sequel trilogy is drawing upon it for the purpose of its Force wielding villains. 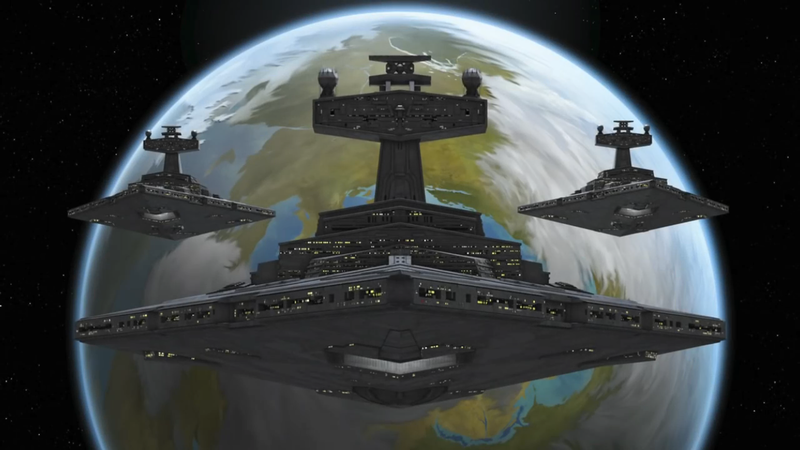 Given the forethought the Lucasfilm Story Group to ensure the connectivity between the franchise’s creative vehicles, and undoubtedly, it’s fair to say that to a certain degree, Rebels’ discussion of the Force is one preparing and solidifying our own understanding for its modern form in Episode VIII and beyond. Beyond the tantalizing tease of a fuller philosophical perspective of the Force, Season Three is promising a deeper look into fan favorites the Mandalorians. Made popular by Boba Fett, be it in action figure or cinematic bounty hunter form, the iconic helmet and armor of the martial race are prevalent wherever masses of Star Wars fans can be found. In a way, Sabine Wren, the sometimes explosively artistic member of our heroes, represents those members of fandom who exhibit their own creative juices in playing with the familiar shapes and forms of the franchise with awesome results. For the purposes of Rebels, Wren also offers an avenue into the Mandalorians, especially in last season’s episode, “The Protector of Concord Dawn.” That episode focused exclusively on one group of Mandalorians and introduced their leader, Fenn Rau, who appeared several times in this upcoming season’s trailer (which also featured no few Mandalorians, either). Why the Mandalorians are the subject of so much attention is best explained as a means to delve deeper into Sabine’s own past and character. The greater purpose, as well, is very likely to help establish the place of the Mandalorians in the galaxy ruled by the Empire. This has been something the show has touched upon for other races, their condition in the time of the original trilogy, be it the enslavement of the Wookiees in the very first episode to the oppressed state of the Twi’leks of Ryloth in “Homecoming.” Given the fate of the Lasat, Zeb’s own people, the dynamics at play concerning the survival of the Mandalorians could prove incredibly fascinating. It also draws upon the same themes present in Zeb’s “Legends of the Lasat,” one’s duty to one’s people and acknowledgement of one’s culture. For Zeb, the burly Lasat treated his people’s ways skeptically and it was only his commitment to them at the end of the episode that resulted in a happy resolution for all involved. We know from multiple episodes, but especially “The Protector of Concord Dawn,” that Sabine already takes her people and their ways quite seriously. Thus, we can expect that adherence to be questioned in some form or manner in the reverse from Zeb. 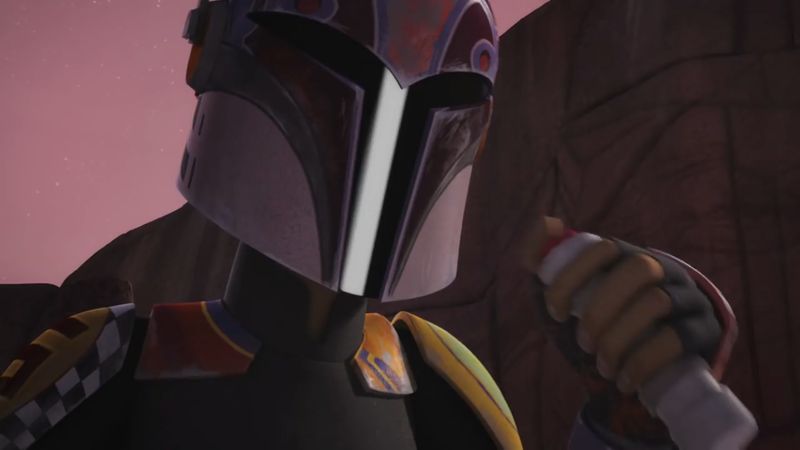 Beyond Mandalorians, Season Three holds the promise of offering an unprecedented familiarity for fans. Thrawn and rebels is the recipe for Season Three, and through them, fans of many ages will definitely be drawn to Rebels with sugar spoons filled to the brim with nostalgia. For the former, for many who grew up in the 80’s, too young to have really experienced the original trilogy in the films, but born too early to enjoy the re-release of the same trilogy and following prequel films in their childhood, the old expanded universe was their lifeline, a current in which to find themselves the rich exciting world of Star Wars. That same expanded universe was born with the release of Timothy Zahn’s Thrawn Trilogy, set after Return of the Jedi, it was the trilogy which launched not quite a thousand following books (but definitely a lot!). The blue-skinned military genius became the de facto new enemy against which all future threats to our heroes was compared against. As a result, when the announcement was made that the old canon had become the Legends Universe, it was as if millions of voices cried out at once (all right, maybe not that bad), Thrawn, the villain who had helped reignite the passion of Star Wars for an entire generation was gone. Thrawn’s return for Season Three represents more than simple fan service, it represents a dedicated effort by Lucasfilm and its creatives to honor the past which helped sustain the franchise into its new renaissance. This process began well before Thrawn, be it the use of ships from the video game Knights of the Old Republic to drawing upon Sith and Jedi mythology found in the old expanded universe. Thrawn’s presence, perhaps the most widely understood and appreciated, is merely the latest in this endeavor which will continue without a doubt not just into future episodes of Rebels, but in its other mediums, be it novels, comic books, and films. In this regard, it’s thinking back to the past, but Rebels also draws upon the chronological future. One of the delights hard wired into Rebels is its chronological proximity to A New Hope, not to mention the breathing down the neck presence of Rogue One. The result is the ability to bring those characters back into new stories, such as Lando Calrissian in Season One and Princess Leia in Season Two. We already know a certain X-wing pilot will be gracing the screen, Wedge Antilles, but there likely will be at least one other character known and love to appear as well. In a fair light, such outings are pretty much sucker punches to devotees of the original trilogy, and pretty dang unfair for the purpose of ensuring loyal viewership. Season Three will bring more, and potentially, lay down some connections to Rogue One. Ultimately, Season Three represents a growing pool of our fan’s desires, thankfully curated and restricted at a reasonable and enjoyable rate by the show’s creators. From a new understanding of the Force to the return to old faces, Season Three promises to at least entertain on even more exciting and interesting levels than any of the show’s prior seasons. Will it outshine the debut of Darth Vader and the confrontation of the Sith Lord with Ahsoka Tano, arguably the biggest elements of Season Two? The answer is probably, but to even come close to the fun of Season Two would mean that Season Three was a stirring success. We’ll be tuning in Saturday evening with a review to follow, so have that astromech figure out the jump coordinates and prepare to jump into the next season of Rebels.